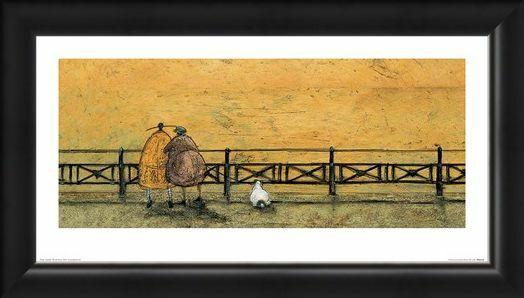 Take a romantic walk along the promenade with Mr and Mrs Mustard as they take an evening stroll with their beloved pooch Doris. 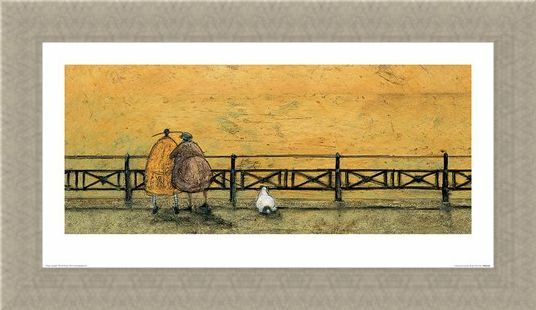 Embracing one another as they glance out to sea, these life long lovers take a moment to reflect on their long love filled lives together. 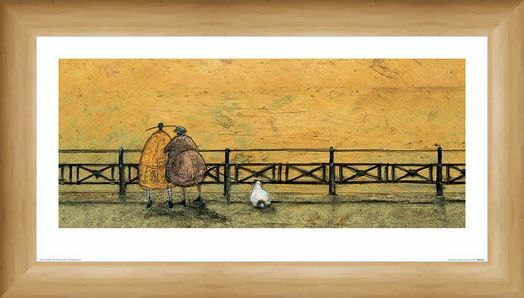 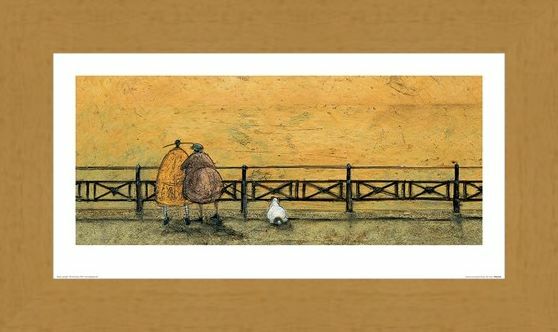 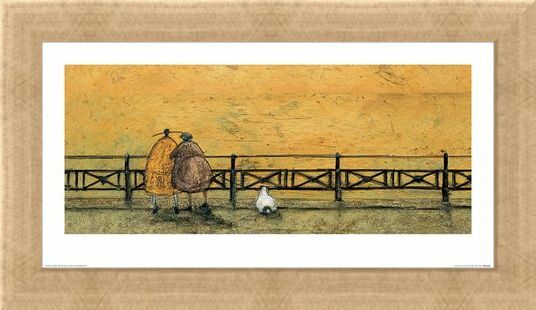 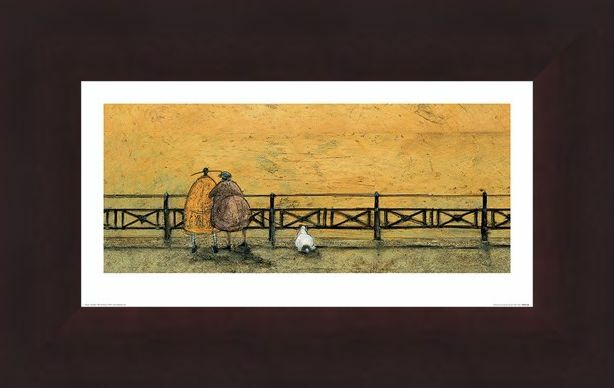 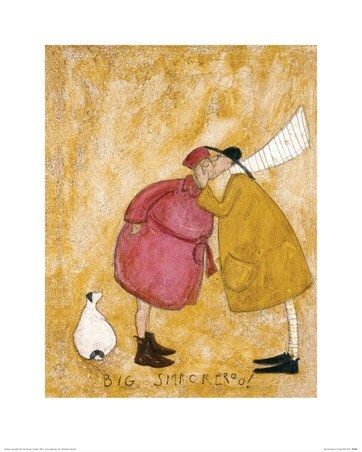 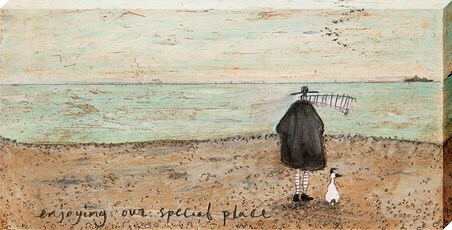 This stunning print from Sam Toft is the ideal gift for your loved one or for a homely and romantic addition to your home. 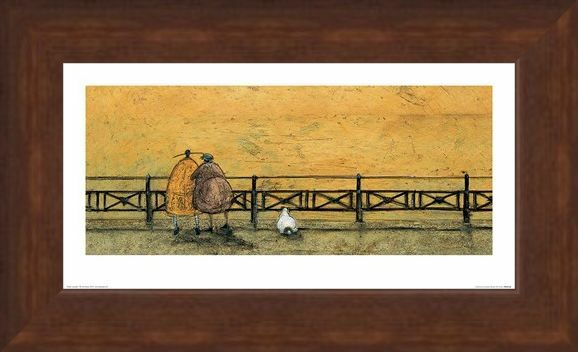 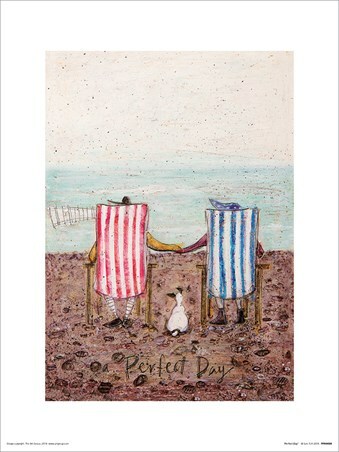 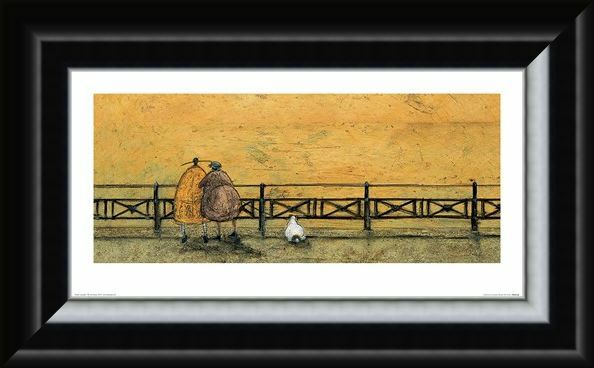 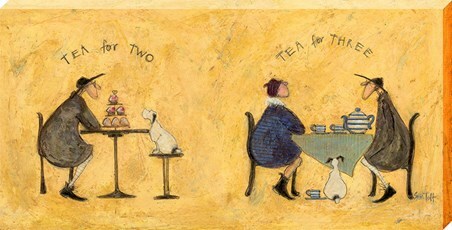 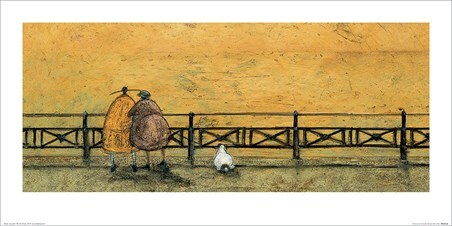 High quality, framed A Romantic Interlude PopArtUK, Sam Toft print with a bespoke frame by our custom framing service.